What do you do when Cousin Kathy in Chicago tells you that she likes that red hat with the big button that she saw on my website? Well, first you know enough about her to know that it really translates to mean "I want you to make me that red hat with the big button that I saw on your website". Then you get your fingers a'movin'. I finished her hat in about 3 hours. 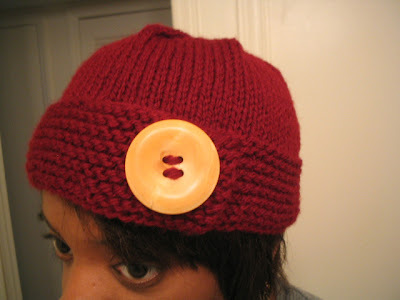 I couldn't find the exact button that's on my hat below, but I liked this genuine bone button. It's a little smaller too, being a mere 1 and 5/8th inches in diameter (the original wooden button is 2 inches) but it still works. Perhaps I should ask Kathy to take a look at the button and see if SHE likes it before I send it. 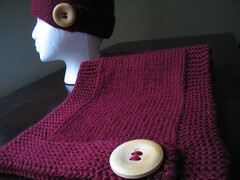 My little hat pattern is becoming quite popular on Ravelry. 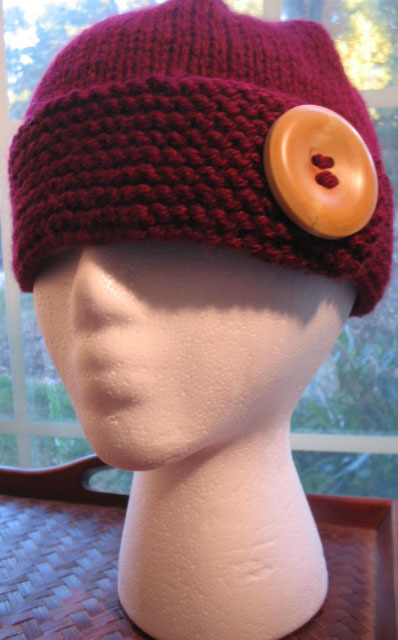 The list of folks that have this in their queue to knit it-or have already made it-keeps growing. I bought more yarn to make more of these hats for Christmas. But I have no idea who they're going to yet. Oh, and stay tuned for a baby republic hat. 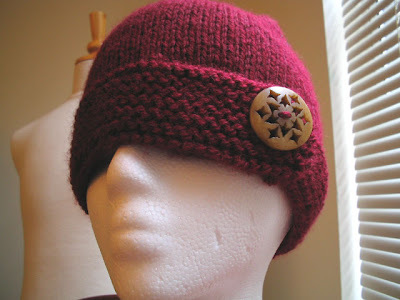 If you want to make the hat, the pattern is for free over there in the sidebar.